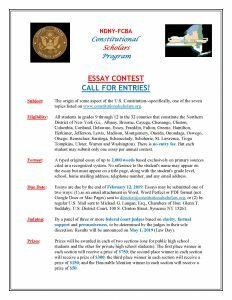 ESSAY CONTEST CALL FOR ENTRIES! Montgomery, Oneida, Onondaga, Oswego, Otsego, Rensselaer, Saratoga, Schenectady, Schoharie, St. Lawrence, Tioga Tompkins, Ulster, Warren and Washington). There is no entry fee. 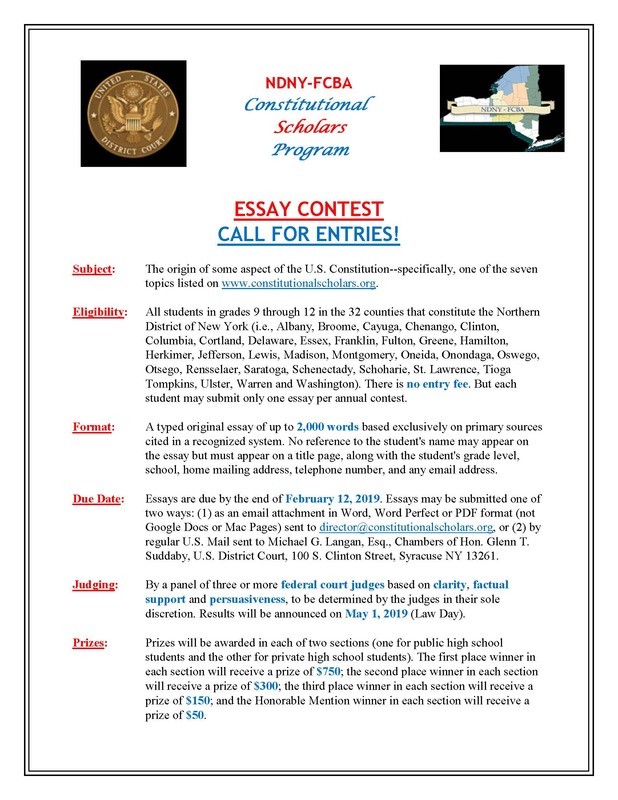 But each student may submit only one essay per annual contest. a recognized system. No reference to the student’s name may appear on the essay but must appear on a title page, along with the student’s grade level, school, home mailing address, telephone number, and any email address. on May 1, 2019 (Law Day). winner in each section will receive a prize of $50.